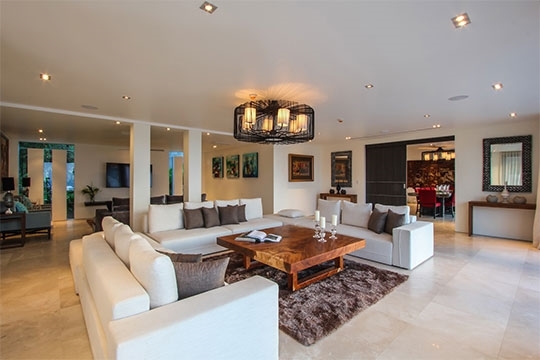 Ideal for families or groups, Saan is a modern pool villa with four floors of luxurious relaxation areas both indoors and out. 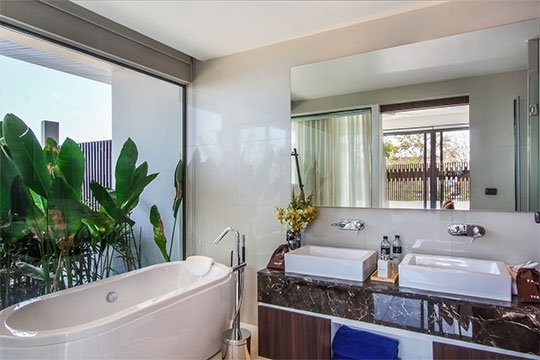 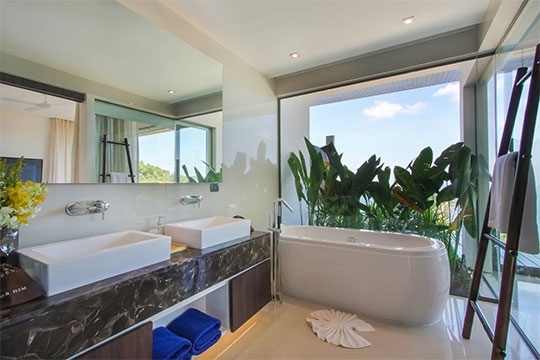 Unwind in the 19-metre pool and jacuzzi and lounge in the utmost comfort on the wide furnished terrace and barbecue area while taking in the views. 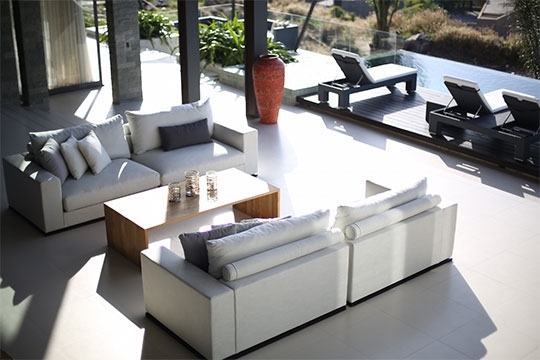 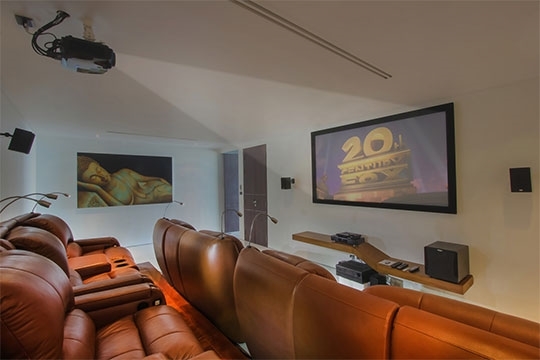 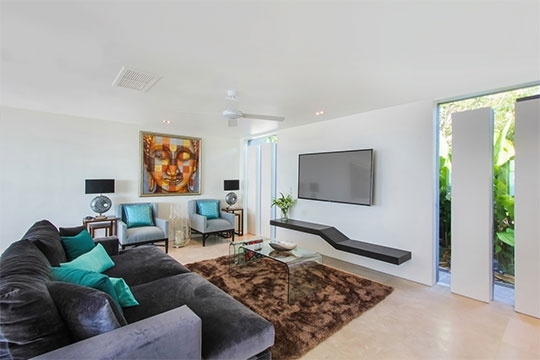 Guests are spoilt for choice when it comes to entertainment, wellness and socialising: there’s a sumptuous home cinema with theatre seating; a games room with pool table; a comfy living room with two seating areas; a fitness room, and spa beds for indulgent in-villa massages. 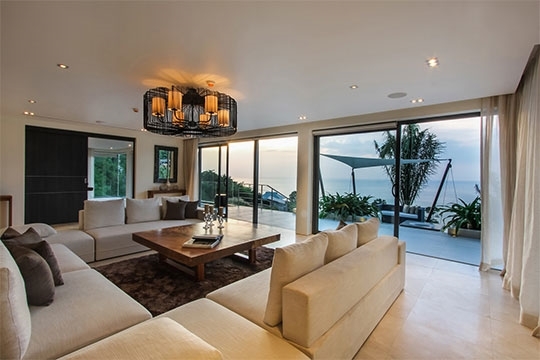 Saan’s tropical elegance, as well as these top-notch facilities, make it the perfect venue for a small event too. 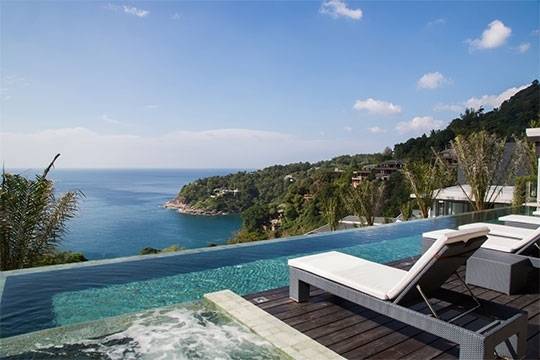 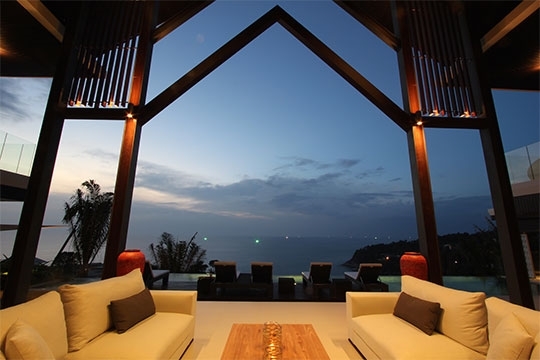 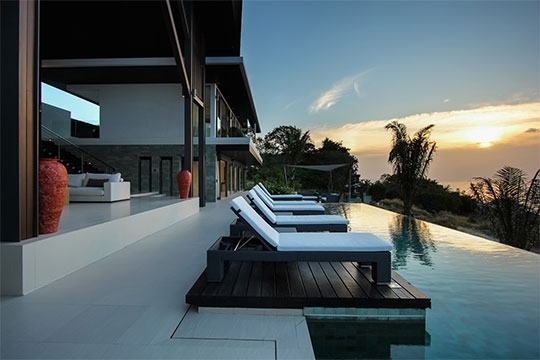 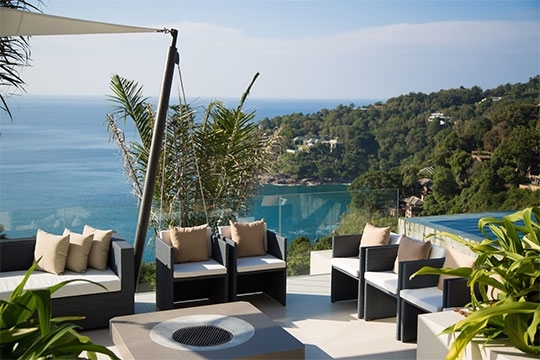 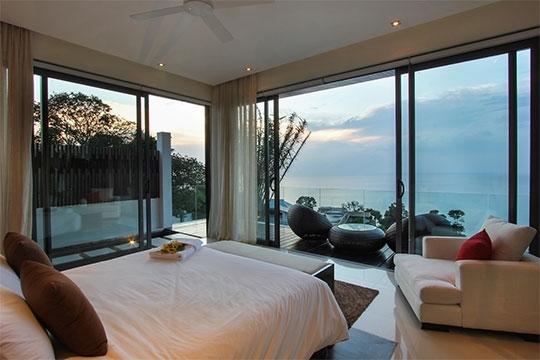 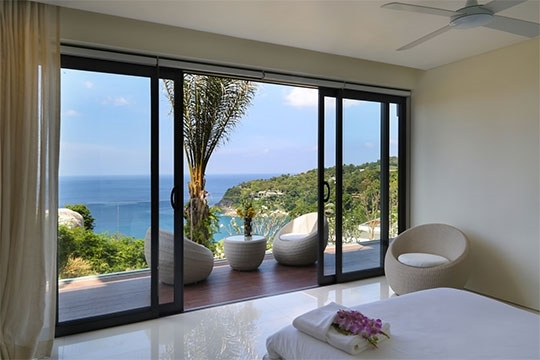 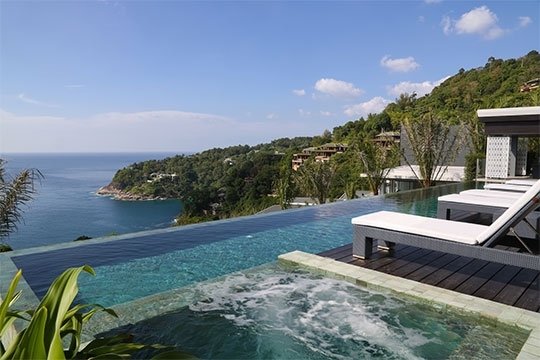 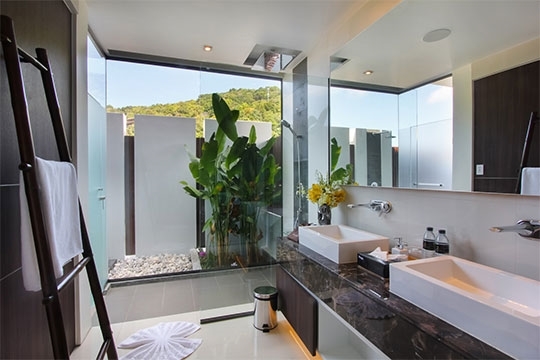 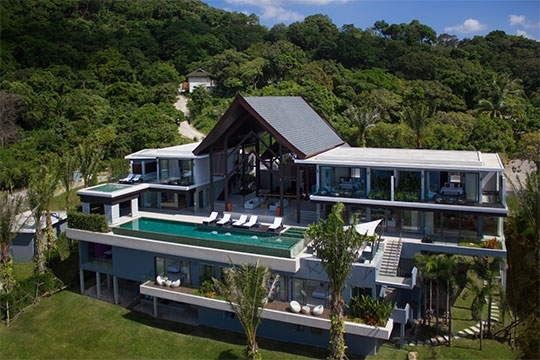 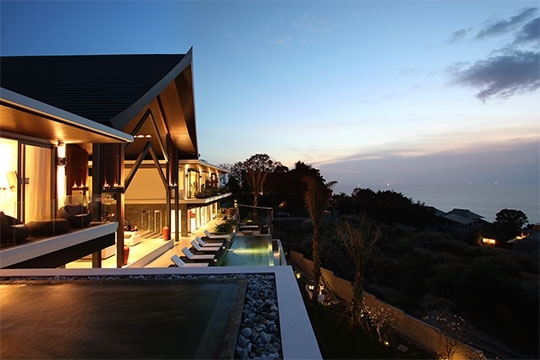 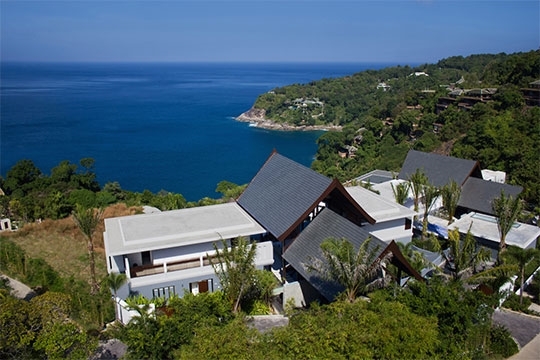 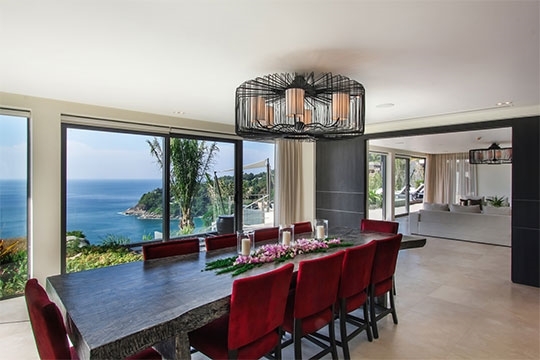 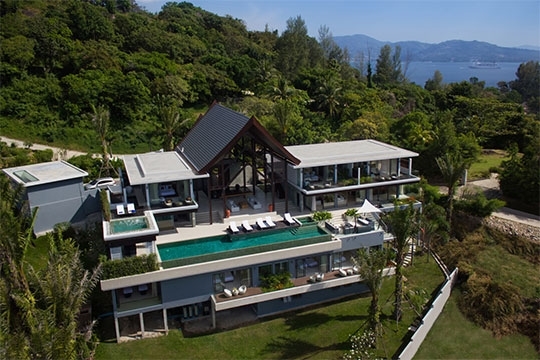 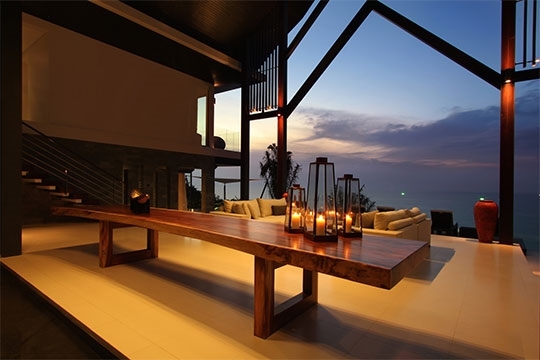 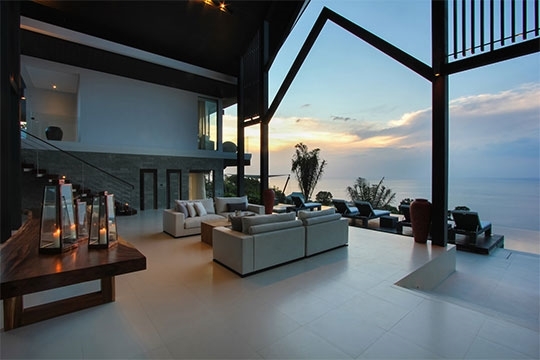 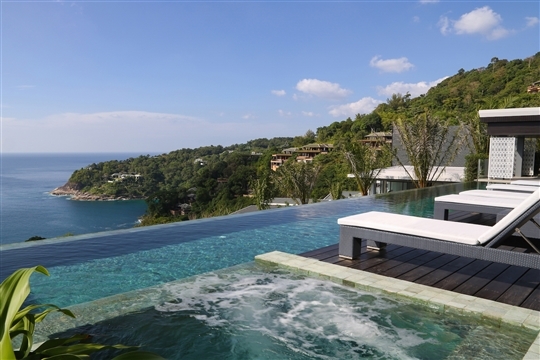 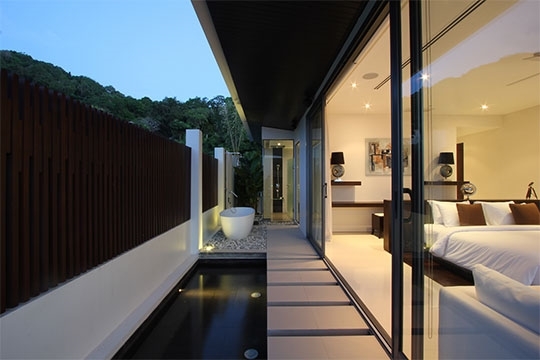 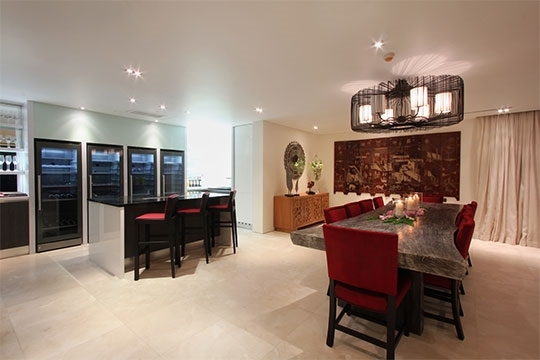 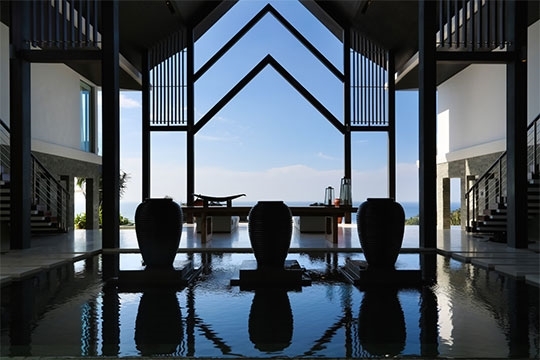 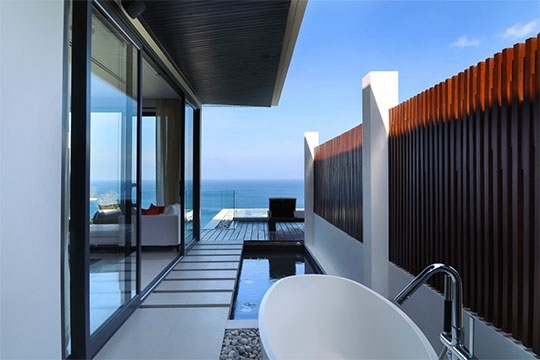 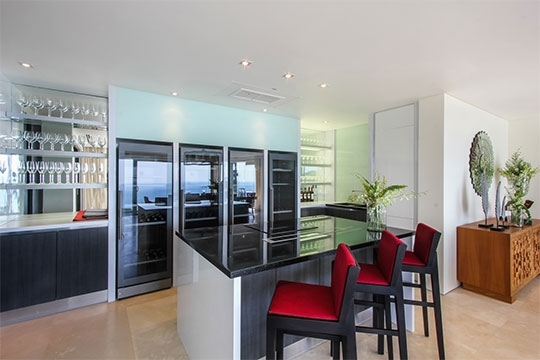 8 bedroom villa located in Kamala, Phuket. 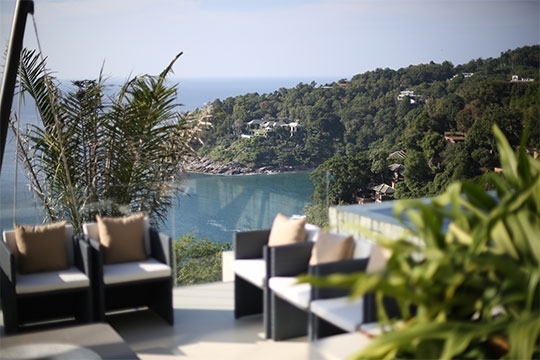 Ideal for Beach in ten, Body and soul, Bring the relatives, Kid friendly, Gastronomic delights, Going for golf, Fair share for groups, Party pads, Room with a view, Perfect for weddings. 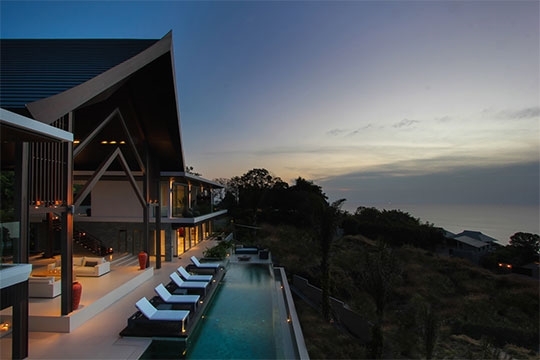 9 out of 10 based on 13 user reviews.